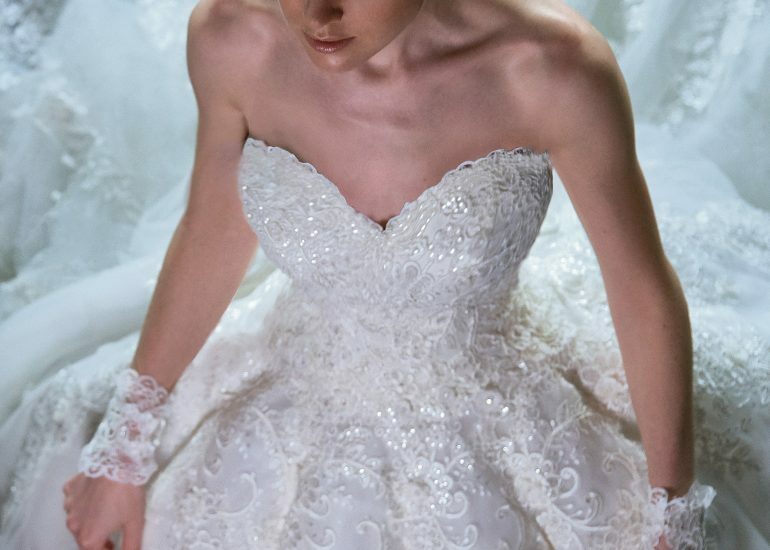 Dress 991 is one of the stunning highlights of this collection. Gorgeous champagne colored fabric all over the dress, filled with a 3d pattern of glittering waves. Catching the sun as you move and making sure you catch the eye.